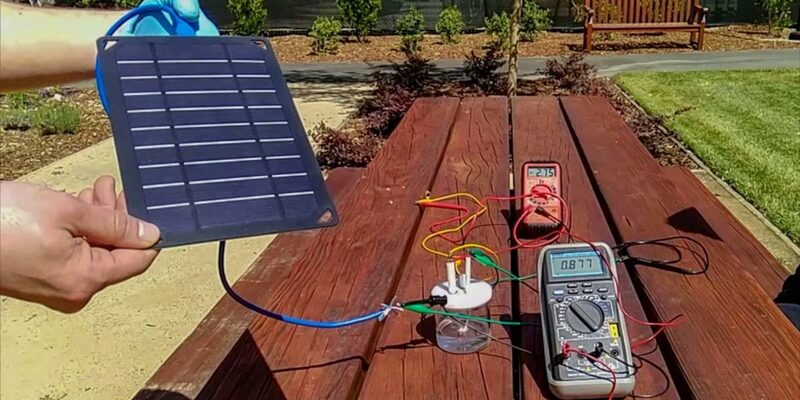 Using solar power, electrodes, and saltwater from the San Francisco Bay, a team of research scientists at Stanford University managed to generate hydrogen fuel, a fuel option that doesn't emit carbon dioxide. A green fuel that could heat homes and power cars and factories has been created out of the sea. Scientists have developed a device that turns saltwater into energy offering hope of combating global warming. The technique separates the hydrogen from the oxygen using solar radiation and electrodes. Hydrogen is the most abundant element in the universe. It has huge promise for clean energy as it only leaves behind water. But producing it artificially has so far been costly and difficult relying on highly purified water which is a precious resource in the drugs industry. Now the US team has come up with a solution with their cheap ‘water-splitting’ machine. Co-senior author Prof Hongjie Dai said theoretically you would need so much hydrogen “it is not conceivable to use purified water” to power cities and cars. “We barely have enough water for our current needs in California”, he said. The prototype described in Proceedings of the National Academy of Sciences produced hydrogen and oxygen gas from seawater collected from San Francisco Bay. Prof Dai, a chemist at Stanford University in California, said hydrogen is an appealing option for fuel because it doesn’t emit carbon dioxide. Burning the gas should ease worsening climate change problems. It could also address potential oil shortages. They claim it would be relatively easy for manufacturers to scale up and mass produce the design. This approach creates hydrogen fuel from the San Francisco Bay’s saltwater, whereas traditional methods rely on impractical amounts of purified water to have significant real-life application. In either case, though, no carbon dioxide is emitted.